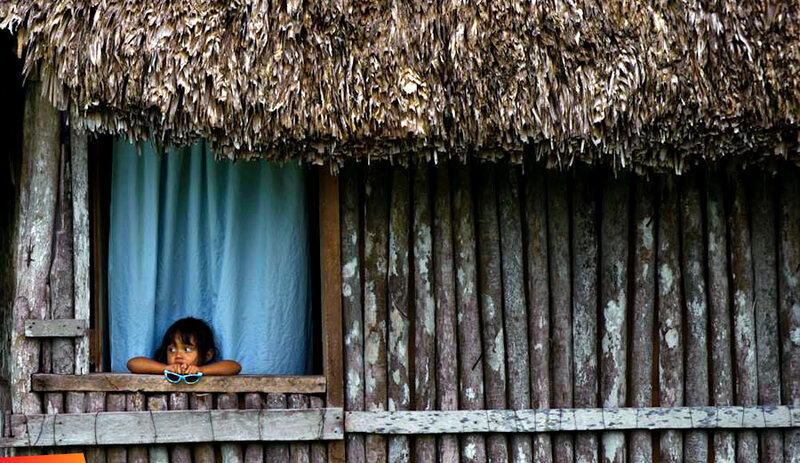 A beautiful Picture of a child of Maya Yucatec descent from the village of Patchakan in the Corozal district. It's believed that the village of Patchakan was already populated with Maya People by 1780 before the massive migration of Mayas and Maya Mestizos from across the Rio Hondo (Nohoch Sukun) because of the Caste War. The Yucatec Maya (Most came from the Yucatan peninsula what is now the Campeche,Yucatan and Quintana Roo States, escaping from the Caste War in 1840's). There has been evidence that there were still Yucatec Maya living in the extreme northwestern part of Belize in the Rio Bravo area before the massive migration of Maya and mestizos from Mexico. The British reported several attacks in 1788 and 1801 from the Maya. A Yucatec Maya group named the Iciache Maya whose territory included northwestern Belize and Southern Mexico resisted the British expansion of logwood cutting. The Iciache Maya with the help of Maya who migrated to the San Pedro Yalbac area defeated the British Troops in December 21, 1866 in what is known as the Battle of San Pedro Yalbac. Others are descendants of the Yucatec Maya group known as the Cruzoob Maya rebels who migrated to Belize from Chan Santa Cruz. In recent years many Yucatec Maya have been also calling themselves "Maya-Mestizo" but most elders call themselves "Masewal, Maya or Indio". Most live in the northern region of Belize (Corozal and Orange Walk District) and also in the Cayo district. Many Yucatec have dropped their original language for Spanish or English but there are still a few who speak the Maya language. 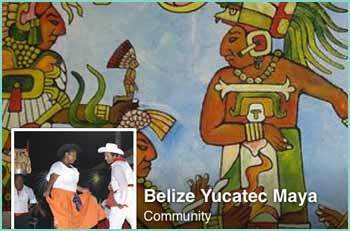 According to the 2010 Census Belize had 2,518 Yucatec Maya speakers, making the language in danger of extinction in Belize. 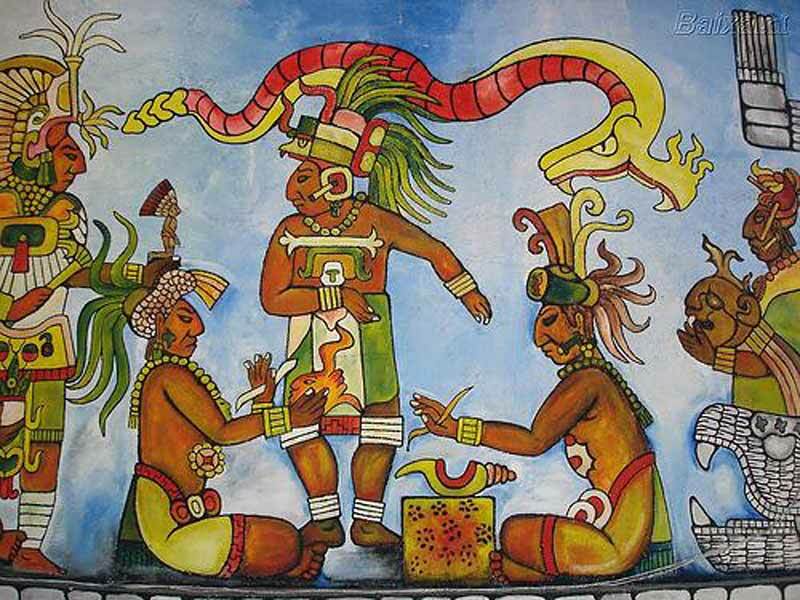 There have been efforts to preserve the language and traditions of the Yucatec Maya. While the Spaniards thought that this land was given to them by the representative of God on earth in the personality of His Holiness Pope Borgia Alejandro VI, the British made them believe that this land we today call Belize was uninhabited, and they kept on with that lie until today. On Sunday, April 19, 2009, during the celebration of our Holy Primicia, Mr. Anastacio Poot corrected me on a piece of information that I gave in one of my writings, stating that the birth of Patchakan Village, Corozal District, was in 1850. Mr. Poot told me that he and two other villagers went to the Corozal Roman Catholic Archives to investigate the birth of Patchakan Village, and they found information about the existence of the village dating way back to 1800. He believes that Patchakan was already populated by 1780, because of information that he got from his father’s uncle. The ancianos of the village, before they died, spoke about a village with the name of Tanchekaax before the existence of Patchakan. There existed a school where a missionary teacher used to come and teach. This would take us back sometime to the beginning of the 1700s. Much of the information we get about the existence of our people, apart from what is gathered from scientific sources, has been passed from mouth to mouth through generations. Much tangible proof has been lost because of greed and ignorance. What used to be Tanchekaax village almost three hundred years ago is now in foreign hands, and many of our ancient tombs and caves have been sold out or destroyed by depredators. During the conquest, the Spaniards relocated many of our people from what we know today as Belize, to Yucatan and Guatemala. We also know that many stayed scattered all over. The relationship between one or several groups of families did not stop. After almost 350 years of oppression, early in the morning on July 30, 1847, our ancestors the Maya — many of whom were descendants of those who were relocated from Chactemal — rose up to fight against the white supremacist oppressors. On January 1542, twenty-five years after the first attempt to conquer Yucatan, the City of Merida was founded, little after the Villas of Campeche, Valladolid and Salamanca de Bacalar, forming these four populations in a form of a square in which our people were in a state as prisoners. Many of our people, the Maya, had run away from the Caste War, coming back home, which was then a British settlement. It took 350 years for them to forget where they were from, and even they themselves thought that the soil they were walking on was owned by another people, another kind of white master. For the “sons of the Baymen’s clan,” it wasn’t a settlement; it was a conquered land — that was a belief their forefathers left them, with which subsists until today. That is why the British and the “sons of the Baymen’s clan” looked upon our people the Maya as foreigners, and they called them refugees. It wasn’t the first time our people were coming back home because of acts of cruelty or war. This took place even before and during the time of the existence of the Tipu resistance and when the Spaniards were forcing Christianity and tax burdens onto them, and also when the British burnt our people’s villages at the Yalbac Hills. We, the Maya from up north, feel uncomfortable about being described as refugees on our own land. How can we be refugees in our own place? Then, how would you call the Jews from Israel? The British were the refugees when they were hiding from the Spaniards behind the Belize River mouth.